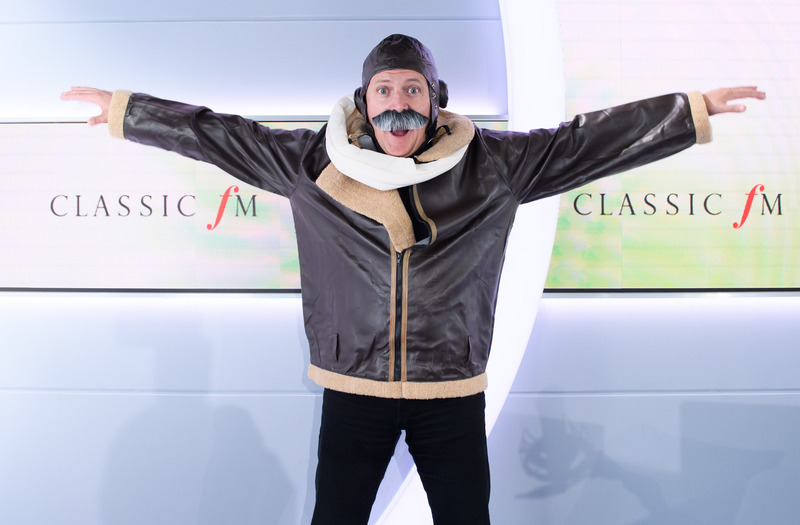 Classic FM’s Aled Jones is Wing Walking in the Air! Classic FM’s Aled Jones is taking on new heights for Global’s Make Some Noise. It’s been 30 years since Aled released Walking in the Air, a song which launched his multi-million selling career. Now the song will take on a new meaning as he takes to the sky in a terrifying wing walking flight this September – to raise money for Global’s Make Some Noise. This aerial adventure isn’t for the faint-hearted, and what’s more, Classic FM listeners are in charge of this dizzying challenge. The more money they raise, the higher, faster and steeper the pilot will fly! If you want to send Aled sky-high and support our work, make sure you donate today! To donate via text, either £5, £10 or £20 to Global’s Make Some Noise, just text ALED5, ALED10 or ALED20 respectively to 70766. 100% of your donation will go to Global’s Make Some Noise. Some networks may charge you a standard network rate to use this donation service. If you’re under 16, then ask the bill payer’s permission before texting. Read full ‘Text to Donate’ Terms & Conditions here.